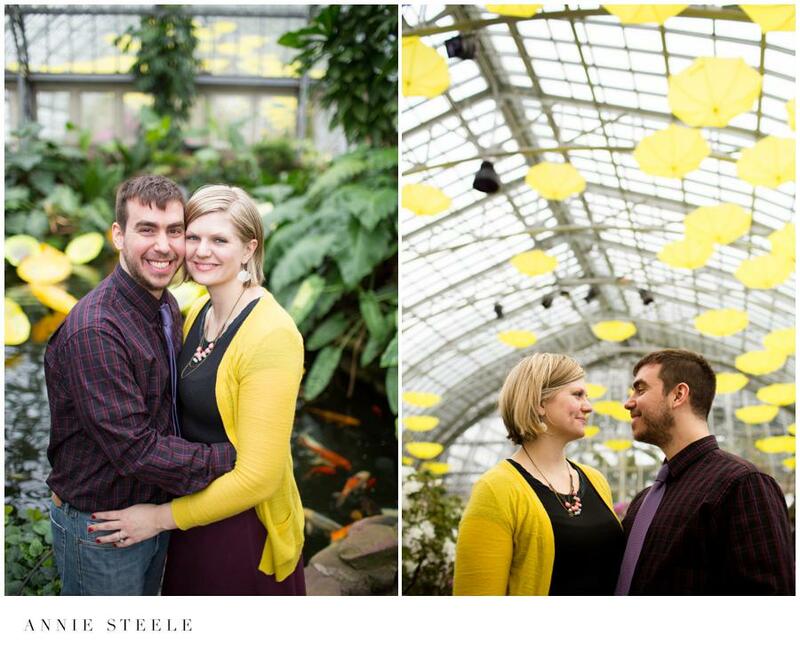 When Kathryn and Michael (which they lovingly refer to themselves as ‘Michryn’ when it comes to wedding planning) were thinking of where they wanted their engagement session; they sweetly reminisced about their second date at the Garfield Park Conservatory. 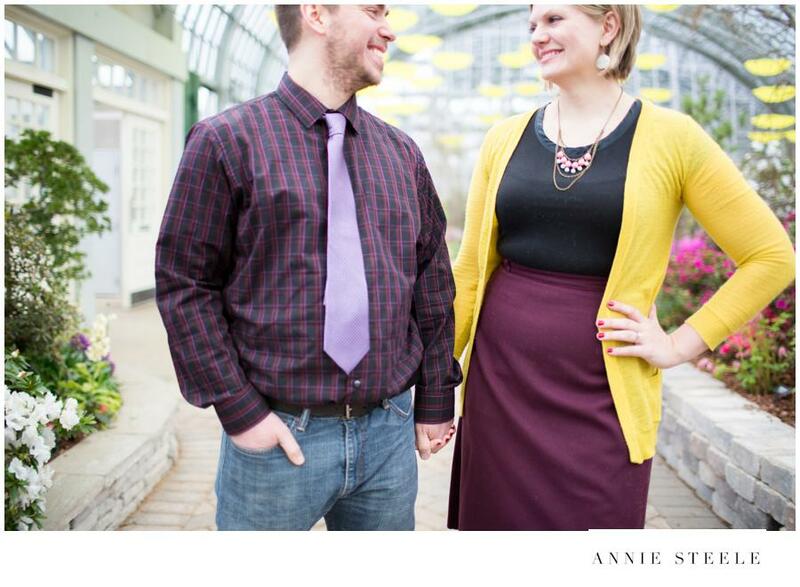 On their second date, they went to the annul kickoff to summer–Beer Under Glass (BUG) at the Conservatory. Set up by mutual friends, both knew it was the start of something special when Michael leaned in to give Kathryn a quick kiss on the cheek after their date that night. Together and a week later, they flew to Washington D.C. to see a band and to meet up with mutual friends. 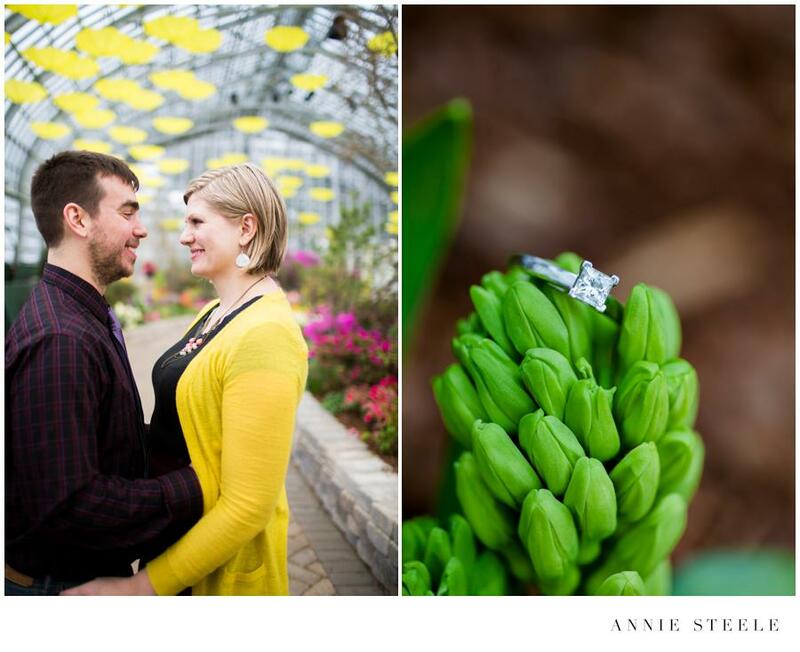 A forever kind of love was beginning, and almost one day shy of their four year anniversary, they will be getting married in May at the ever so lovely Hoosier Grove Barn.